NBA – Dion Waiters and the Miami Heat ended the Boston Celtics 16 – game winning streak on their home at Americans Airlines Arena in Downtown Miami. Goran Dragic leads the Heat in scoring with 27 points, 5 rebounds and 4 assist but it was his teammate Dion Waiters who made the clutch 3’s and an easy dunk in the last few minutes of the 4th quarter to stop the Celtics winning streak. Waiters added 26 points, 2 rebounds and 6 assist to help him team to get the win which also improves the Heats Standing with 8 wins and 9 losses and currently sitting at 11th place in the Eastern Conference Standings. The Celtics has been trailing for most of the game down by as much as double digit lead not until they fought back in the 3rd quarter to close the gap, but unable to sustain in the 4th quarter until the Heats shooting guard Dion Waiters made some clutch basket in the end game to keep the Celtics away from the game. Kyrie Irving leads the Celtics in scoring with 23 points, 1 rebounds and 3 assist but not enough to help his team to keep their winning streak. 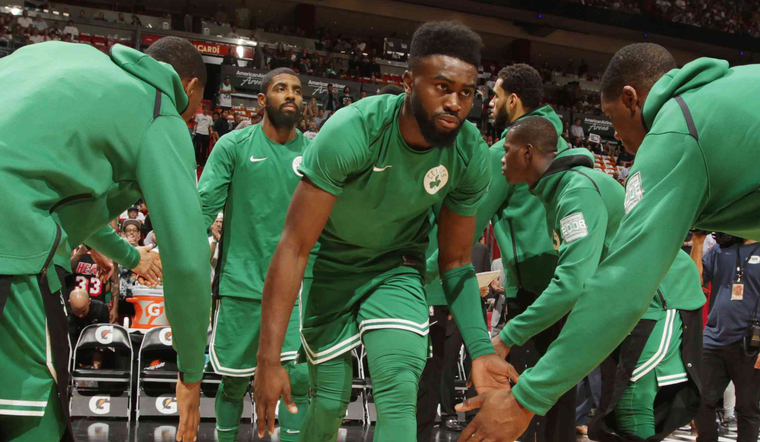 Irving’s teammate Jalen Brown, who has been great for the Celtics in their past games added only 14 points and was fouled in the game, rookie Jayson Tatum continues to show his impressive performances as a rookie added 18 points, 7 rebounds and 4 assist while Al Horford was only limited to a single digit points with 7 points, 9 rebounds and 4 assist. The Celtics loss, stop them from reaching the franchise best record of 18 – game winning streak during the era of the “Celtic’s Big Three” Kevin Garnet, Ray Allen and Paul Pierce, despite the loss the Celtics remains the league’s best record with 16 wins and 3 loss, especially in the East, where the Celtics are 5 more wins against the 2nd and 3rd best record Detroit Piston and Toronto Raptors with 11 wins and 6 losses each and followed by the Cleveland Cavaliers at 4th place with 11 wins and 7 losses and currently holds the new longest winning streak in the league with 6 wins. Are the Cavs and the Warriors Possibly meeting again in the 2017 NBA Finals?